Comilla has been playing an influential role in creating woven crafts since the days of the Mughals. 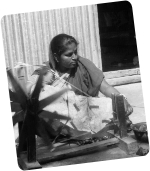 There were numerous weavers in the Tripura state during the 17th century. The 1890 Tripura Gazetteer tells us that a woven craft existed in the area which employed thirteen thousand men and two thousand women weavers. When the Emperor glanced at Beerbal the latter said, Sire, if you permit me I can try and see what I can do. Some of the other plants that are grown in this beautiful garden estate are grapes, pineapples, papayas, lychees, blackberries, bananas and olives. The school lies in the heart of the town. 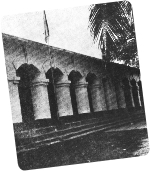 It is the biggest and the oldest school in Brahmanbaria district having a vast field, a school hostel and a gymnasium. The school carries a long & glorious history.